Southern Germany — which consists of the two large federal states of Baden-Württemberg and Bavaria — borders France, Switzerland, Liechtenstein, Austria, and Czechia. This unique geographical location makes it a popular stop-off point on European interrailing trips, and means that it’s the perfect destination from which to take day tips across the border. It is also the country’s most-visited region, owing to the well-known state of Bavaria, and Baden-Württemberg’s Black Forest. The latter is one of many spots for hiking and winter sports in the region, which is full of incredible mountains. The view from Bad Wildbach in the Black Forest is great on a clear day. Munich — also known as the “cosmopolitan city with a heart” — is the capital of Bavaria and, by far, the largest city in Southern Germany. But the region has far more to offer than its capital: be sure to check out its beautiful rural areas, and small, historical villages, which date back several centuries. 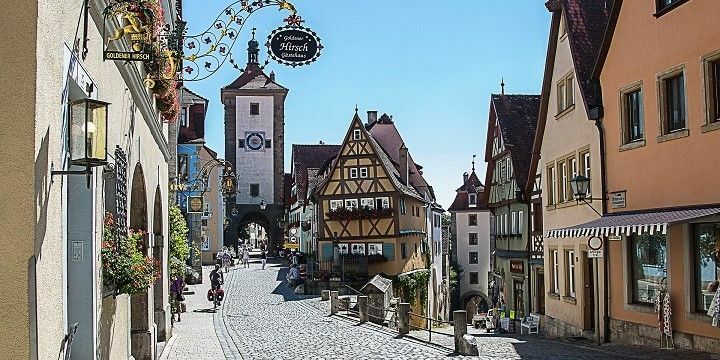 If you want to see some of the best examples of traditional, medieval German architecture, head to Rothenburg ob der Tauber. Although large parts of this town were destroyed during the Second World War, it has been almost perfectly rebuilt, so a stroll through its streets will still feel like a trip back to the 14th century. Rothenburg ob der Tauber is a traditional, medieval German town. Both Regensburg and Nuremberg are also full of medieval architecture, and are at their most-mesmerizing during December, when they host traditional Christmas markets. Famous for its baroque palace, Würzburg is located in the heart of the Franconian wine country. 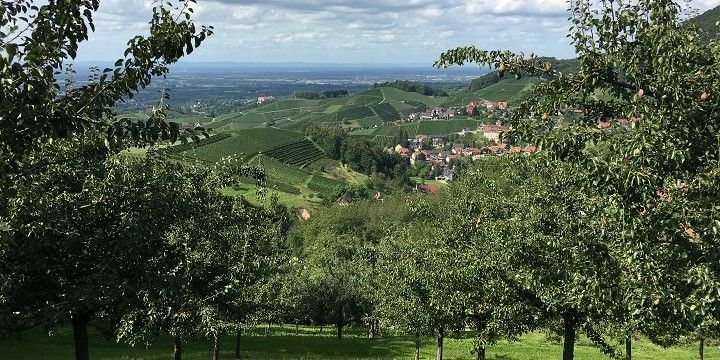 Be sure to visit this region to taste wines from large, internationally-renowned vineyards, as well as smaller, family-run businesses, and up-and-coming wine producers. Bavaria is well-deserving of its nickname, “the land of the castles”. Three of the region’s most famous castles were built in the federal state by one king alone: King Ludwig II. Why not try to visit them all? Neuschwanstein Castle — which inspired Walt Disney to build his Magic Kingdom — is close to Füssen, Herrenchiemsee Castle can be found on an island in the Chiemsee, whilst Linderhof Castle is nestled away in the Ammer mountains. Herrenchiemsee Castle is located on an island in the Chiemsee. Baden-Württemberg’s city of Heidelberg also features some impressive historic remnants. Here, you’ll find the Heidelberg Castle, which dates back to the 13th century, as well as the country’s oldest university, which was built in 1386. Today, visitors can follow the Philosophenweg (Philosopher’s Walk): a route that used to be taken by Heidelberg’s academics to explore their town as a break from their study. 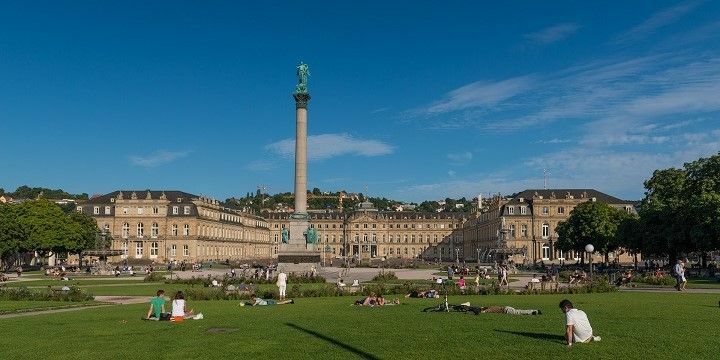 Stuttgart — Baden-Württemberg’s capital — is famous for its New Palace, which dates back to the 18th century, and continues to act as the city’s center point. Stuttgart's New Palace dates back to the 18th century. This isn’t the only example of royal architecture Stuttgart has to offer: nearby, you’ll find the Old Palace, which has been standing for over 1,000 years, whilst the rococo-style Solitude Palace lies just outside of the city center. The latter was used by the monarchy as a summer residence and hunting palace. Stuttgart is also famous for being the birthplace of the car and continues to be a hub of innovation. If you’re a car junkie, be sure to check out the city’s multiple car museums, such as the Mercedes Benz Museum and Porsche Factory. 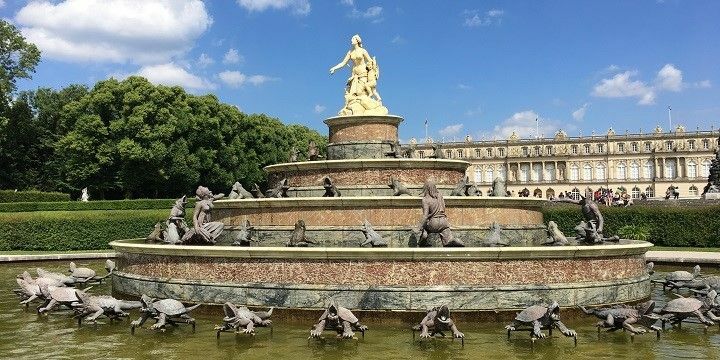 If NextStop24 helped you to choose your next travel destination, we'd be very grateful if you’d search for your accommodation and things to do in southern Germany through these links. They're affiliate links, which means that we will receive a small commission for every booking made through them. There are no extra costs for you; you'll simply be helping to keep NextStop24 running. Thanks! Germany is a wonderful country.There are a lot of natural beauty, but also the elderly, significant architecture. My whole trip was highlight. I wish that people are a little more sensitive. I've been to a couple of places in southern Germany and really like the region! I love the lakes and mountains. There are many beautiful cities like Munich, Constance, Tübingen, Nuremberg, and more. Come in winter for the Christmas markets as well!